Experiences are valuable. Instead of asking for attention from your audience, try offering value first. Experiential marketing follows a similar logic to Inbound marketing: marketing with a magnet is more effective than marketing with a sledgehammer. Experiences can draw people in, giving them a reason to interact with your business in a new context. 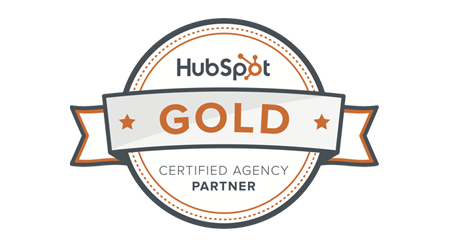 We help companies build and deploy experiences that help separate them from the crowd. Insurance isn’t the most exciting thing. AAOIC Insurance knew that they needed to relay information to younger audiences in a way that they’d engage with. Enter: the Wire Wizard game. 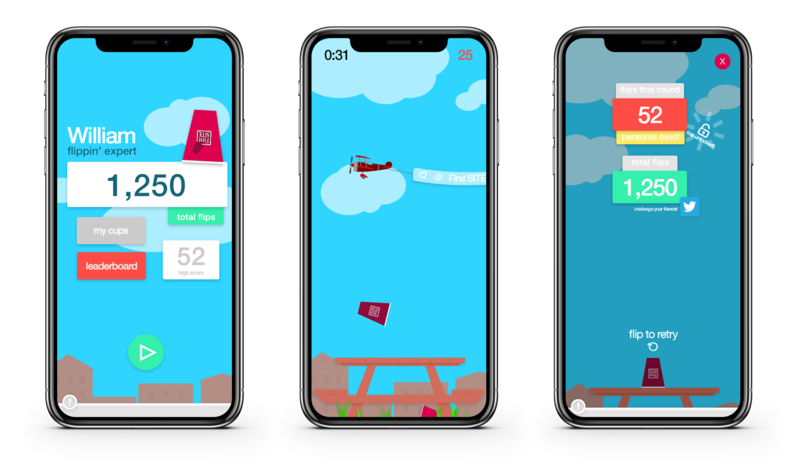 Wire Wizard is a fun, addicting mobile game that sees the player control an orthodontist who runs across a bottom row of teeth, laying braces down as he goes. It features simple gameplay and mixes in insurance information that AAOIC needs orthodontist workers to know. 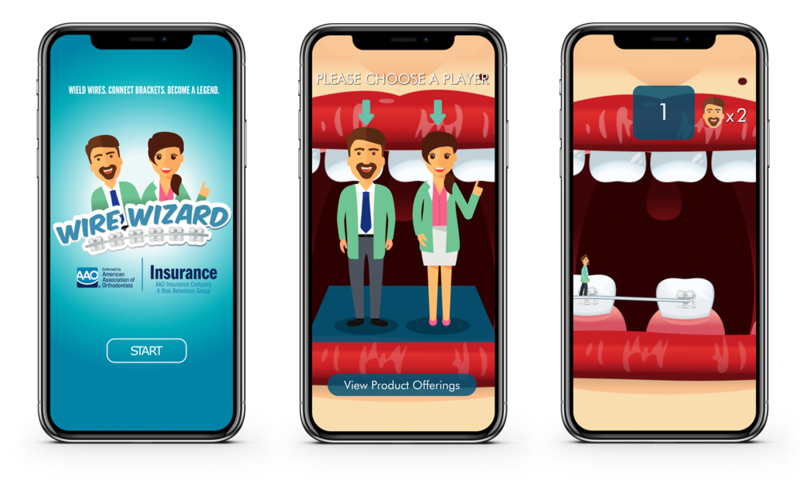 By creating a mobile game instead of a brochure or another traditional marketing piece, AAOIC took dry material and turned it into a fun experience. 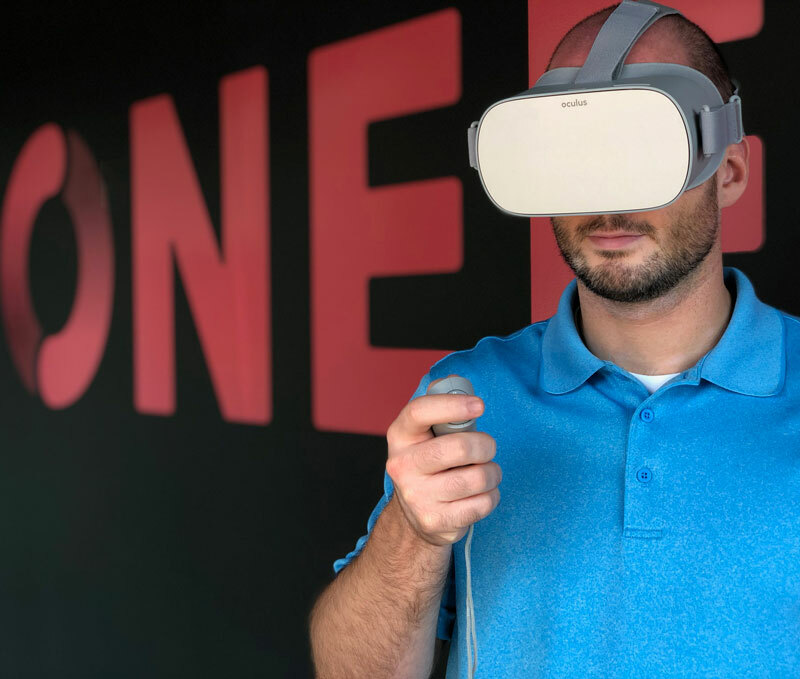 While virtual reality can seem like a space-age gimmick to older generations, it is, in reality, a powerful medium that modern businesses are successfully using today. VR creates immersive experiences that can solve complex business challenges. For example: Eureka College wanted more prospective students to visit campus. But, traditional logistics were holding prospective students back. Instead of trying to get more students to come to campus, Eureka now sends its campus to them. 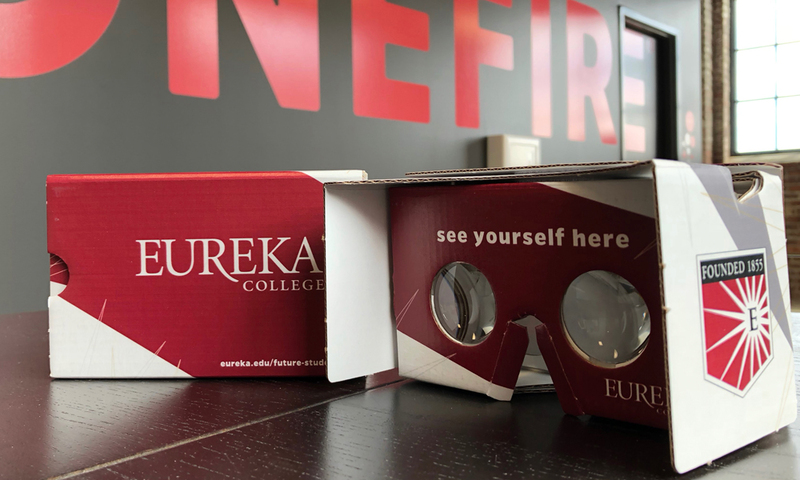 With a customized cardboard VR viewer and a 3D tour, prospective students can now “visit” Eureka College from their own homes. Using their mobile phones, students can get a self-guided campus tour and determine whether or not Eureka is the right school for them. For those Gen-Z students, it’s not an odd concept – it’s an increasingly expected convenience. In a world of Uber, Amazon, and Netflix, they’re used to things coming to them. Eureka is ahead of the curve in delivering its campus tour experience. College students aren’t known for having long attention spans, but they are known for being able to effectively tune out marketing messages that they find irritating. Marketing to Generation Z is a puzzle most businesses haven’t even begun to solve. But, for businesses who cater directly to the demographic, being unprepared isn’t an option. First Site Apartments understood this and reached out to ONEFIRE to build an experience for students that would hook them, entertain them, and keep them engaged with the First Site brand. The result? First Site Flip: a mobile game that playfully captures the party culture of life on campus. Students can compete with each other for high scores, win real-life prizes, and check out apartment listings on their time. It’s an engaging, easy way to show ISU students why First Site should be their college home. Texting is normally seen as anti-social. It’s a way to avoid talking to the people around you. At the same time, texting is an inescapable part of everyday life and a medium that most people are comfortable using. Caterpillar Inc. and ONEFIRE teamed up to turn texting into an experience. The Text-2-Screen Experience allowed event attendees to text to a wall-sized display screen. Instead of pulling people away from each other, attendees could all interact in one shared thread. 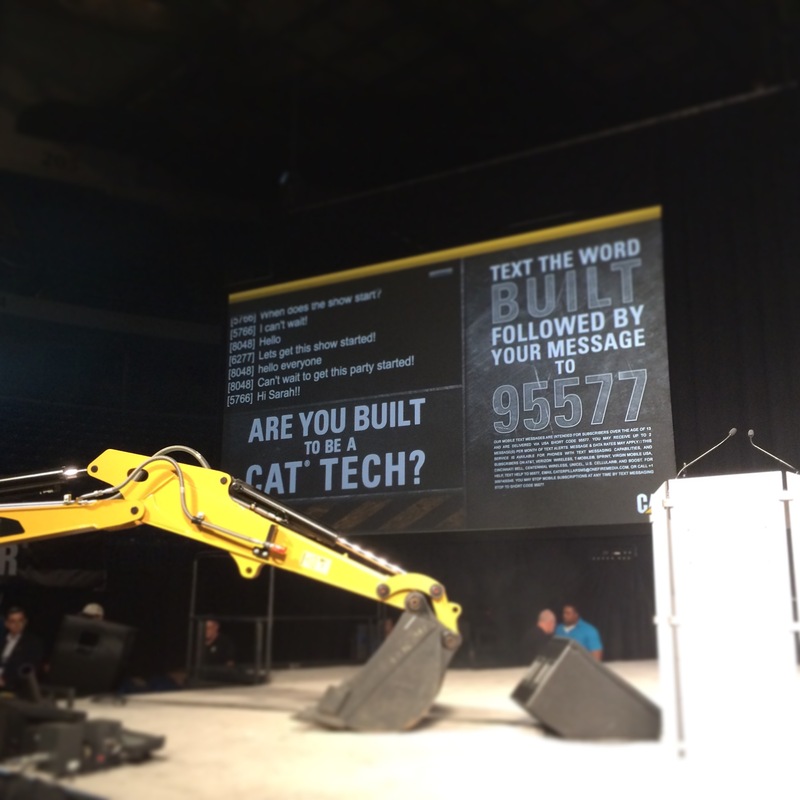 The result was a real-time conversation around Caterpillar, its products, and its brand. Attendees were able to engage with one another and the company with ease. 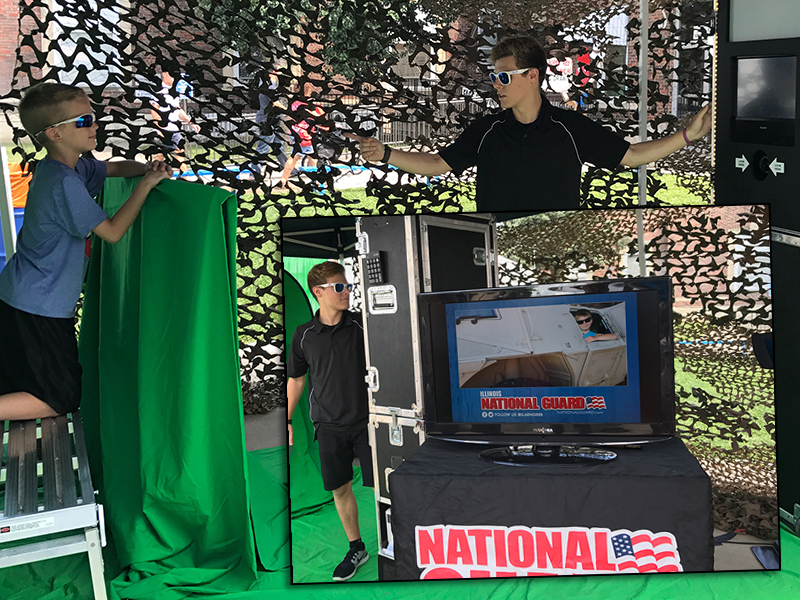 The National Guard of Illinois wanted to inject some levity into their brand and turned to ONEFIRE to build a Photo Booth Experience. With a photo booth, prospective members were able to loosen up, take fun pictures of themselves, and get a print out instantly to hold on to. The National Guard logo and a custom backdrop were inserted into the photo for maximum branding effect. Photo booth technology makes it easy to create fun experiences. It’s always fun to take photos and brands can capitalize with seamless integration, building awareness and goodwill with their target audience.